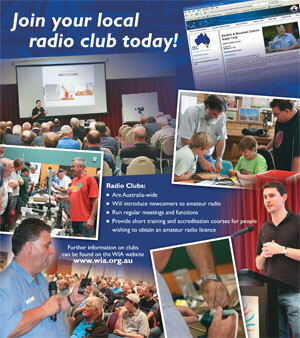 There are many hundred Amateur Radio Clubs located throughout Australia. Clubs encourage newcomers to the hobby of amateur radio by holding regular meetings and events and many clubs also provide short training and accreditation courses for people wishing to obtain an amateur radio licence. The above map allows you to easily locate the radio club closest to you. You can use the zoom control on the upper left of the map to zoom in and out of the map and by clicking and holding your left hand mouse button whilst over the the map, you can move around Australia. Each radio club is indicated by an icon of a communications tower, click on the tower to see the name and location of the radio club then click the link to go directly to visit that clubs web page. You can return to this map at any stage by clicking the South Australian Clubs Overview link at the top of the left hand menu bar. Club secretaries, getting your club on the WIA clubs map is easy. Simply follow the instructions that we mailed to you to include a google map of your clubs meeting location on your club page, hit save and the clubs map will be updated including your club.